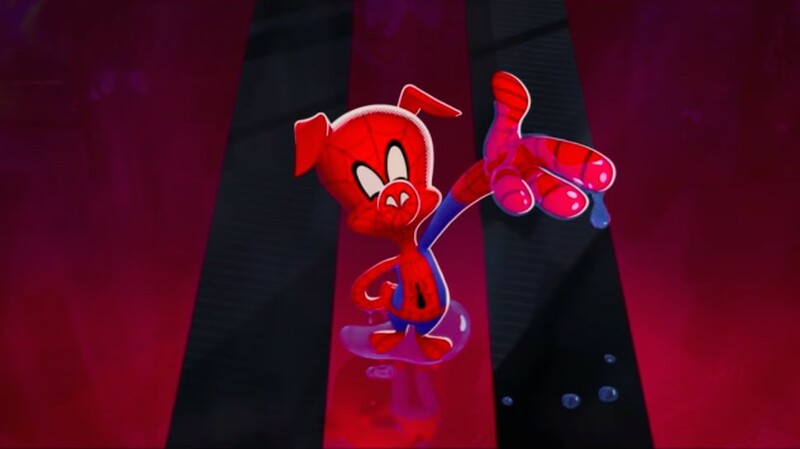 The new animated feature starring the famous Spider-Man coming to theaters in a few weeks, will introduce us to truly alternative superheroes, such as Spider-Ham. He's tiny, he's mainly thinking about eating, but he's damned strong and athletic when he fight against the bad guys. We are talking about Peter Porker, one alternative version of the best known "Parker", a hero who lives in an alternative universe. We had already met other alternatives Spider-Man in the last clip you find in this page. We met together in Spider-Man: Into the Spider-Verse, a film directed by Bob Persichetti, Peter Ramsey and Rodney Rothman and created by Phil Lord and Christopher Miller (the mind behind Cloudy With a Chance of Meatballs, The Lego Movie). A Sony Pictures Animation production. Expected as one of the most innovative films in the animation industry, seen much more like an animated comics, will hit theaters in UK starting December 12 and in US starting December 14.